Dr. David Ludwig has been trying to help people lose weight for 20 years at a clinic at Harvard. 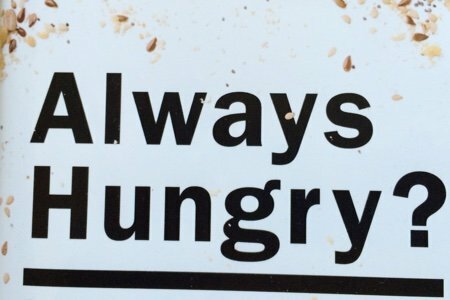 He is one of the many health professionals on the front lines of the obesity crisis and he has come out with a new book - Always Hungry? Conquer Cravings, Retrain Your Fat Cells & Lose Weight Permanently. This book is worth a read if you have been attempting to lose weight and been unable get it off and keep it off. If you have read a lot of diet books – especially Atkins or The Zone – you are going to see a familiar theme. Ludwig advocates for more protein and fat in the diet and less processed carbohydrates. He even calls one of the phases of his diet “modified Atkins”. I think it is modified in a good way because he includes fruit and vegetables. His premise is based on the idea that counting calories does not help you lose weight. What does help you lose weight is the type of calories you eat. Huh? Why should that matter? His thesis is that a diet with highly processed carbohydrates contributes to weight gain even if you are eating less calories over all. He did a study published in 2012 where the participants who were on a low-carbohydrate diet burned 325 calories more than the study participants on the high-carbohydrate diet – this is with the SAME NUMBER OF CALORIES. Basically, if you could eat food that would help you burn calories, would you do it? Half the book is an explanation of the problem of weight loss and his solution to that problem. The second half is a plan with three phases and recipes. I found the recipes to be simple and not all that different than the ones here on Snack Girl. They feature whole foods, recognizable ingredients, and are easy. There are no artificial sweeteners (hurray!) . While I have not attempted any of the phases, I have tried to replace my processed carbohydrate breakfast (whole grain toast) with Dr. David Ludwig’s banana, peanut butter shake. I really like the shake and now have been drinking it for a couple of weeks. He says that eating in this way (less processed carbs) leads to a feeling of well-being and will lead you to have more energy. I believe it is worth a try!! Why do you say recognizable ingredients---when in my opinion, soy or almond milk is that to me---why can't we use regular milk---to me that is more natural than the formulated soy or almond? I am no authority but I'm guessing the reason they say not to use regular milk is because of all the steroids and harsh drugs given to the cattle which poisons the milk supply. I was also going to ask if it was OK to just use regular skim or 1% milk. Also, what is the whey powder for? Is this another protein? You know a free Panera bread coupon pops up after you comment! LOL! This is very similar to a protein shake I have every day. My only changes is that I use original almond milk instead of unsweetened and add enough ice cubes to make it thicker and seem more like ice cream I eat with a spoon. But the biggest change is that I use powdered peanut butter (like PB2) to cut back on the fats in regular nut butters. I also don't add the nutmeg, but I'm trying that today! The purpose of the whey is to add protein, not to replace anything that might be missing from regular milk. Also I'm pretty confident Dr. Ludwig would encourage people to use real nut butter because the fats are beneficial in weight loss (and healthy diet in general). This gets so confusing at times.. I thought pB2 was a healthier choice but then they say the fats in nuts are a healthy fat..Maybe the best choice is to just eat everything but in moderation?????? Our family has tried a few different whey protein powders and can't find one we like (teens complain they are gritty). Which one are you using? Why not use milk kefir? I make a banana smoothie every day with a cup of homemade milk kefir. It would be so easy to just add the rest of the ingredients and then you'd REALLY have a healthy drink. It sounds like it's worth a try, but I usually am less hungry if I have something to chew. I like to add blueberries (either fresh or frozen) to make it taste like a PB&J! I also add spinach, I can't even taste it. question for Snack Girl: how long does that smoothie make you feel full? On Weight Watchers, a smoothie with fresh fruit/greens is about twice as many points as if you were to eat them unprocessed. The logic is that you slurp down a smoothie in much less time that it would take you to chew them unprocessed, and there's a link to chewing and satiation. I made a similar smoothie for breakfast on saturday (PB2, 1/2 cup 1% milk, banana, spinach, ice) and it didn't last me that long (i knew I was going to be eating a homemade brunch at 11 anyway). I don't know though. this whole hunger thing is confusing. just always bring a spare banana for mid-morning snack! We use a liberal amount of dairy products (full fat) in the meal plan, but also aimed to include a range of plant-based sources of protein and fat. For that reason, the Peanut Butter Banana Power Shake suggested almond or soy milk. However, it is fine to substitute cow’s milk (or even better, the fermented product kefir). Any resulting change in nutrients won’t be critical. Of course, there are strong opinions on both sides of the issue regarding cow’s milk versus soy products, and more broadly animal versus plant protein. I consider the scientific issues in depth in Part 1 of my book. When it comes to these unresolved issues, our philosophy is to provide a range of options, and let the reader choose based on personal preference. I purchased the book and have been following the plan. It only required minor adjustments to my existing diet. The recipes are great. I am doing Phase I. I lost 4 lbs in a week. I will stick with it and see how it goes, but most importantly, it is sustainable and satisfying. @Michelle - I never had a smoothie for breakfast because I was afraid that I wouldn't feel full precisely for the reason that you are DRINKING something versus chewing. But, this has 28 grams of protein and takes me a while to drink - so I felt full - which surprised me. I would love if you gave it a try and let me know if you felt the same thing. People: if you are looking for a non-gritty, soluble whey protein powder, make sure it is a Whey ISOLATE. This type is much less gritty and will dissolve MUCH better than any other type of whey protein powder. I think whatever diet you're involved with, it makes sense to me to keep it as close to nature as possible: whole foods, from plants or animals, unadulterated by humankind. Since whey ''powder'' sounds processed to me, its not in my pantry. I'll eat my curds and whey in my cottage cheese like Little Miss Mufffet! :) I mean ground peanuts are still peanuts, but something that was watery, then dried and 'powdered' doesn't sound right to me. [I would research it if I was going to have it in my weekly diet.] Also bread has been a good staple in the human diet for tens of thousands of years and I believe if made with whole grain flour, salt and water [as a good sour-dough is], its A-OK in moderation, as far as a healthy diet goes. I include a healthy bread daily which is highly satisfying and keeps me from craving. Since no one is perfect, and they say ''perfect is the enemy of good', I strive for whole foods most of the time, and do not stress over the occasional processed item. I'm 67 and have been a serious reader of all things healthy since age 18 so everything old is new again. I think Pollan puts it the simplest, ''eat food, mostly plants, not too much''. What I do find enlightening reading, however, are the new discoveries of a given whole food's nutrient profile which, I might add, just further supports all the many theories on 'eat more fruits and vegetables"!! This sounds like a great concept. Like some others have mentioned though I have had problems making it until my next meal without feeling hungry after replacing a meal with a shake. I do know that more protein makes me feel full longer but would like to hear other's experiences with this. This info is on the recipe. I cannot find the Points + value. Does anyone know what it would be? I will give the book a look because I am always hungry and would like to figure it out! What is whey powder? Why not protein powder? What about adding flaxseed or chia seeds? Don't they help with satiety? I have the book and am doing stage 1 - the phase 1 shake is a little different and it keeps me full for 4 to 5 hours (I think this one would too), its yummy and very satisfying. Some days I cannot eat all the food - I have never been on a diet where this has happened. When I started stage 1 I could feel in my clothes I had put on a lot of weight, I was too scared to weigh myself. I did measure my waist and after 10 days I have lost 2 inches off my waist. The food is yummy and filing, can be changed to suit your tastes, the program includes dark chocolate, fruit and desserts. I feel like I have finally found something that can work for me for life and I have been on various diets since I was 13 (just turned 55). It makes sense, we have been eating low fat and getting fatter - I am eating good fats and feeling satisfied and loosing weight. Is this safe if I have bad kidneys, or too much protein in kidneys? I've ordered the book on line from Amazon. Looked so good early this week that I went to Barnes & Noble, but it was about $30 off the shelf. Looking forward to reading this weekend. This is one of my favorite protein shakes in the morning except I have cinnamon instead of nutmeg. I am starting phase 2 and as you read the book, which you need to do, you realize what the concepts and meanings behind all that dr. ludwig talks about. I did weigh myself at the beginning but it is not stressed that you have to only to get a starting point, I also measured my waist, I'm glad to say that I have lost 4 pds and 2 inches off my waist. What I like about this program is that it is sustainable thru life because of the different foods incorporated including the natural grains vs. all the refined ones. I have learned that my body does not like carbs (I certainly love them) but my body is constantly fighting itself. Reading all the comments here, its hard to answer all your questions when most of the info you seek is in the book. Amazon has it for cheap money, HIGHLY suggested to get it. Even if you don't participate in the phases, the recipes are fantastic. LOVE EATING HIGH FAT FOODS!!!! Nothing better than creamy greek yogurt, and full fat salad dressing. I don't even miss the bread. Habits take time and I think with this one bad ones will definitely be broken. First and foremost, as you are probably aware, your husband should certainly discuss any diet plan with his doctor first, but I will say that this is quite different than Atkins. The only (relatively) higher fat portion is the first two weeks in which 50% of calories come from healthy fats (with the other 50 split between proteins and carbohydrates). After that the percentage of calories from fats drops down. The focus is eating healthy fats correctly balanced with naturally occurring carbohydrates and proteins so that the body gets the nutrients it needs and can digest well. While this is quite oversimplified, basically that is what is causing us to be fat – we are eating highly processed carbohydrates that the body doesn't know how to process and thus the body thinks it is constantly in starvation mode and the fat cells hold on to all of these on healthy carbs. His other shake recipes suggest soy, almond or whole milk. I think you can use any of them. It's too bad Dr Ludwig chose to share this recipe of all the recipes in the book. It's really the only one that uses a processed ingredient like whey powder. It really turned me off but I decided to go ahead and get the book anyway. I'm glad I did-- lots of great recipes and ideas. Love having full fat greek yogurt and full fat cheeses to go along with healthy veggies, fruits, proteins, and some carbs like beans and sweet potatoes. So yummy! I am deliberating on whether or not to get the book because I have stumbled upon a process which is working for me in terms of weight loss and feeling great and it is easy and extremely do-able long term. It is 16:8 which means you fast each day for 16 hours (for me 7:00 pm after dinner until 11:00 am) and then have 2-3 healthy meals during the next 8 hours (between 11 and 7). I have been doing this for 10 days and after the first 2 days when I was hungry in the morning, I am no longer hungry, in fact there are days I don't even eat until after noon. I will add that I do not eat sugar and the only bad carbs I eat are sourdough bread once/day and pasta once/week. But those are not recent changes. The biggest change is the 16:8 part. I can feel weight loss in my waist, legs, face, my jeans are falling down to my hips...love it!! I am going to weigh myself at the end of this month and then evaluate Dr. Ludwig's plan. I have not yet read the book mentioned but at first glance it seems that 37 grams of carbs is quite at bit at one sitting. Maybe there are less the rest of the day. I am at the end of phase 1 and have lost 7 pounds so far. I've been using Bob mills whey protein and have not found it to be gritty at all. I have the book and recommend that you read it so you can understand reasoning of the plan. Good luck everyone. I have the book. I find, even as a mature student - w/ ample time for prep - it's an overwhelming amount of work & prep. I did prep for week 1, okay. Then I also found the 'cheat sheet' online which underlines the basic concepts - this is very helpful. I can create my own meals w/ this standard, which is less stressful than making a different set of meals almost everyday. I also have enjoyed the full fat aspects - the biggest change for me. But do find the sheer amount of suggested food for one day to be too much for me, lol! I just prefer a simplified version of what to make to ensure this way of eating creates weight loss, versus the time & cost of all the meals (they are wonderful). I appreciate the science behind the plan, and I do hope that I see results, as I want to loose another 50lbs. Some have made adjustments to the shake to cut down on the fat. The doctors point is that fat restricting is a misconception. Consuming healthy fat is the key to weight control. Listen to his interview on NPR. Also, cows milk was never intended to be consumed by people. After WWII the government did PSA's encouraging people to drink it, in order to help the dairy farmers. They no longer needed the milk for the war effort. *Soy was also not intended for human consumption.